A few weeks ago I mentioned that I enjoy Influenster.com. Well, last week they sent me a "Frosty Vox Box" full of all sorts of goodies to enjoy and review. (If you follow the ajennda on Instagram, you might already have seen a preview.) 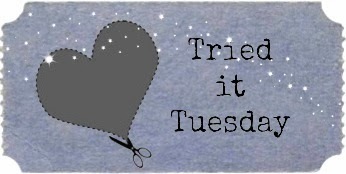 So, I decided to put all the goodies together in one really fantastic installment of "Tried it Tuesday!" Full disclosure: I do not need more volume in my hair so I tried this brush on my mum, instead. She really loved it! This is a nice size round brush that gets the hair so smooth. The vented construction really does make drying a breeze not to mention it's incredibly lightweight cut down on arm fatigue. Did I mention that the brush head rotates a little with each motion so you don't have to fight with carpal tunnel as well? And the wooden handle-which does not get hot-is a brilliant touch. The thing that Mum loved best was that the brush didn't pull her hair or hurt while poking her scalp. 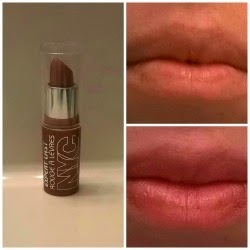 I think Influenster and NYC knew the way to my heart by sending me a lip color named "Sugar Plum." (Get it? Ballet... Sugar Plum Fairy?) They also seemed to know that a drug store bargain was going to get my attention. Sugar Plum is a frosty-mauve that adds a touch of shimmery color to my lips. The color is great with my skin tone although I think it would look nice on a variety of people. My favorite part was that the lip color didn't dry out my lips at the end of the day. A huge plus in my book. Somehow Influenster knew I needed eyeliner! Rimmel is one of those drug store brands that I have been buying for a few years now. So, I was happy to try out their latest eyeliner offering. The pluses when it comes to Rimmel eyeliner are always the fact that their pencils glide on like butter (great consistency) and the price. I was definitely not disappointed in this case. It's really hard to tell from the picture but the pencil is very pronounced once applied. I did test the waterproof nature of the the eyeliner when I used my eyedrops and it passed with flying colors. I will note, however, that a couple of hours later I did have little black smudges under my eyes. So, if you use this product make sure you set it with some translucent powder to keep it from "traveling" to other regions than your eyelash line. However, if you like a smokey eye or similar styles that require blending of the eyeliner, this pencil will perform well under those circumstances. Fittingly, my Vox Box contained makeup remover intended for waterproof makeup (and sensitive skin!). Generally, my favorite eye makeup removers are from brands like Clinique or Albolene. Rimmel's version keeps up with the more expensive brands. The liquid is very gentle as promised. 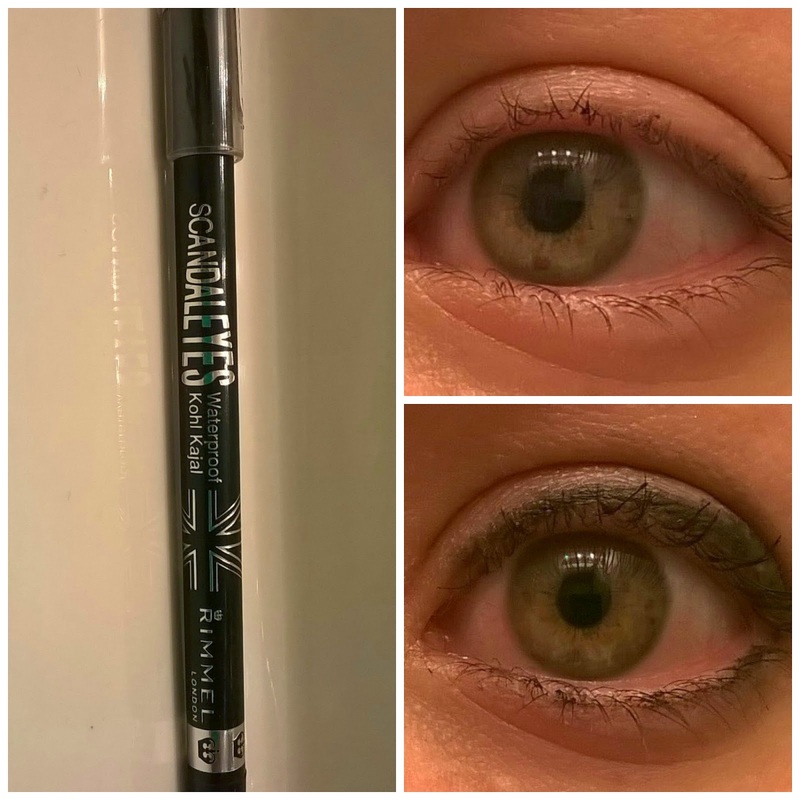 It instantly removed the (above) waterproof eyeliner and some usually stubborn mascara with very little effort. And there were no black marks on my pillowcase the next morning so I am very impressed! And guess what? 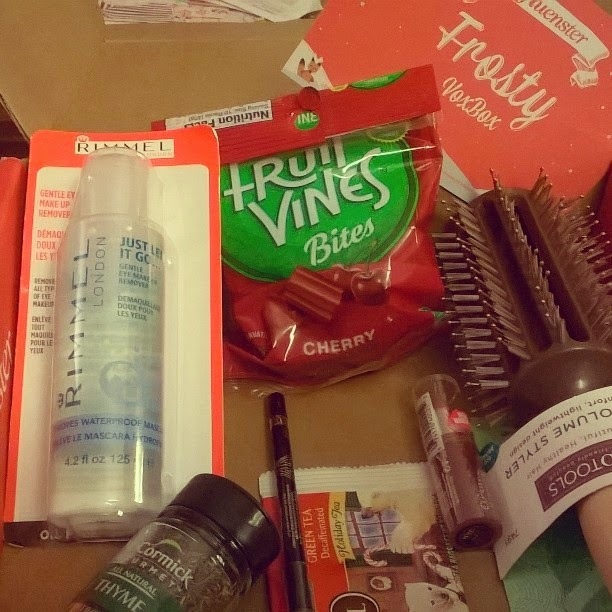 There's even more good stuff to check out from my Frosty Vox Box (courtesy of Influenster.com). So, check out the rest in Part 2.